Picked up our keys today and we couldn’t be any happier and excited. Such a great builder to go through. Any questions we had were answered in a timely manner and all staff were so friendly and approachable. Would highly recommend JRZ HOMES to anyone looking at building a house, pool or shed. Thanks for allowing us to spend this xmas in our new home when we were expecting to move in end of Jan.
Building with JRZ has been smooth, trouble free and a pleasure. They came recommended by friends and we weren’t disappointed. Transparent from the start about costs and timeframes, they have a great set of designs to work with and offered good advice on changes to suit our needs. The level of finish and standard inclusions stood out for us and the show home cemented in our minds that we wanted the same. The house has been completed a month early but the quality hasn’t been compromised – this is our ideal home and JRZ have been ideal to work with. Speaking with the tradies on-site it’s clear that they respect Jesse and his approach – it works and that’s been evident throughout the whole process. Thank you! Absolute seamless build which delivered more than we anticipated. Thanks JRZ. From the initial consultation with David, ongoing design ideas and changes, through the build and handover JRZ Homes place the client and their needs first. We had confidence in the whole team that our dream home would be built to the highest standard as it was. We were overseas for the majority of the build and welcomed the weekly updates with accompanying photos. Now we have moved in we are even more impressed with JRZ Homes as our home is such a dream to live in. Thanks Jesse and the rest of the JRZ Homes team. You are the best! The biggest difference for us was the ongoing communication throughout the build and the first class tradies. The whole building process was excellent and you can’t get better than that! We have just passed our second anniversary in our new home and we continue to congratulate ourselves for teaming up with your company. We are so pleased with the outcome and the design, not to mention the quality and timeliness of the build. We regularly ‘sell’ JRZ to friends and visitors who are toying with the idea moving on and just thought you might like the feedback. Thank you so much to Jesse, Dan, David, Skye and all the wonderful team at JRZ Homes. Building our first home with JRZ has been such a stress free experience. We’ve heard so many horror stories about building houses but ours was far from that. We met with a couple other builders prior but as soon as we enquired with JRZ we knew we had the right builder for us. Jesse and the team are so easy to talk to and are always there to answer any questions you have. We are so happy with the quality of the build and the standard inclusions were perfect for us. Whenever we visited the work site it was always kept clean and the tradies were always friendly and helpful. Thank you so much for giving us such a beautiful family home in such a fast timeframe! The team at JRZ have delivered us more than just a house but our family home at the beach. The whole process was enjoyable and painless. From our very first encounter with David at the display home, he worked hard to meet our needs and give us a comprehensive quote that we happily accepted, as the extremely generous standard inclusions were impressive. The huge range of choice to give our house our own touches was amazing and something we never expected when we began considering our new home. Every supplier that we dealt with was extremely helpful. Jesse, Dan and Skye kept us informed throughout the build and gave us their expert guidance along the way. The build site was kept very clean and the tradesmen onsite were always friendly and willing to assist if we had any questions. Our house was delivered well ahead of schedule and to a very high standard. We cannot recommend JRZ enough to anyone and everyone who we speak to about building their new home! A big thumbs up to JRZ Homes! Not only were you a sponsor at the Ability Ball last night but Jesse, you Mel staff partners & friends helped to make Brog’s night. Thank you all so much!!! The whole team at JRZ should be very proud of their work! Building our first home with them was an easy decision as their standard inclusions made decision making so easy. We are delighted with each of the trades work on the entire home. We’ve gained a huge appreciation for many talented people! I expected to be stressed however it’s been much more about popping champagne at every stage! Very professional in all aspects of building a new house. Building our family home with JRZ was a wonderful and stress free experience. Many Thanks to David for the assistance during the design process and putting together our beautiful home. The first time we met Jesse, we knew we had made the right decision to build with JRZ Homes. We walked out of the show home, confident that we were in the right hands. He was very friendly and knew what he was talking about. He spoke about all his staff with the highest regard. We were preparing for the build interstate and every week we received an update with photos. It was hard not being here whilst the house was being built, but with the regular updates and photos, we didn’t miss a thing. We really appreciated the effort Jesse and his staff went to, to keep us up to date. There were a few hiccups on our behalf, but every time Jesse was there reassuring us we will get through it. All of the JRZ staff, including Admin, tradies and contractors have been extremely friendly and always willing to answer any questions we had without hesitation. In building with JRZ Homes, it felt like we were not only dealing with a company, but friends whom were there when we had any issues. We absolutely love our forever home that was created by the wonderful JRZ Team, and wouldn’t hesitate to build with them again. Building our new home was so easy with JRZ Homes. From the moment we met David in the sales office we knew we had made the right decision on a building company. The build was so well organised and Jesse & all the crew kept us up to date with what was going on at all times. Thanks to all of you we have moved in to a beautiful home. JRZ built our house exactly the way we wanted it. Jesse and his crew were very helpful and Jesse had no problems with changes we required. The house was built in a timely manner and their attention to detail and quality of fittings is highly recommended. JRZ”s subcontractors were friendly and professional as were Jesse’s staff. The plans were finalised in detail well before the build commenced so there were no unpleasant surprises later. David took us through the plans initially and then we dealt directly with Jesse to finalise the plans and specifications so that we were absolutely clear on what we were getting. Every change was documented and Jesse and his staff were meticulous with detail so we knew exactly what the price of the home was at the start including any variations we required as the build progressed. At the end of every week, we would receive a report on the week’s progress from Jesse so we were kept informed until the build was completed. Jesse and Dan met us at the hand-over and confirmed that they would come back to us within a month of completion to see if we had found any defects which they would then address. We are very happy with our new house. We would highly recommend JRZ to anyone. We had a bad experience in the early stages of our build with another builder and were at a loose end deciding which direction to go until JRZ were recommended to us. Jesse and his team were absolutely wonderful from our initial phone conversation till the end of the build. Nothing was too hard for these guys and that’s what sold us to build with them. Thank you Jesse for your awesome service and professionalism and totally recommend your company to anyone looking to build their dream home. It was my first experience with building a new home and I can’t imagine a better company to go through the process with. Every member of their team, including the office staff, tradies, contractors and of course the builder were extremely friendly, helpful and always available to answer any questions quickly and without fuss. I found the experience stress free and professional. I would recommend anyone who wants a quality home finished beyond their expectations to contact JRZ Homes. We would be happy to recommend them to anyone wishing to build a home. They were easy to deal with from start to finish and allowed me to make many changes to the plans before the build started. The end result was the house of our dreams! Building our family home with JRZ was an amazing experience. With David’s ideas, advice and patience we designed a floor plan & home we have no regrets with. Michael and Jesse provide an amazing amount of communication during the build process, especially with their weekly updates email. The JRZ Tradies have great craftsmanship and kept the building site clean and tidy. We love the home we created with these guys and wouldn’t hesitate to build with them again. A very smooth build from start to finish. The JRZ crew were transparent with all costs and remained on time and within budget. JRZ are a professional building team, and we were 100% confident that we’d picked the best builders for your dream house. We’re still loving their work. Being the 4th time that we have built, this build was by far the easiest build. 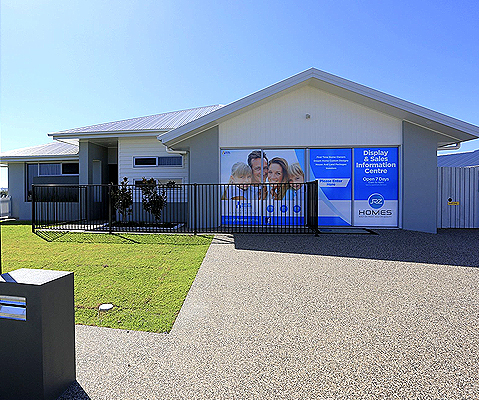 Every staff member (including the tradies) that we had dealings with from JRZ Homes were professional and helpful. Weekly updates kept us informed of the progress and planned work for the following week. We were able to access the building site to view the progress of our new home. Fixed price contract so no surprises at the end of the build. We are extremely happy with the finished project. Thank you Jesse and team!